Chocolate chips (maltitol, unsweetened chocolate, cocoa butter, lecithin (soy), vanillin, whole milk powder) maltitol, sorbitol, inulin (from chicory root), whole wheat flour, whey protein (milk), vital wheat gluten, artificial vanilla flavor, salt. 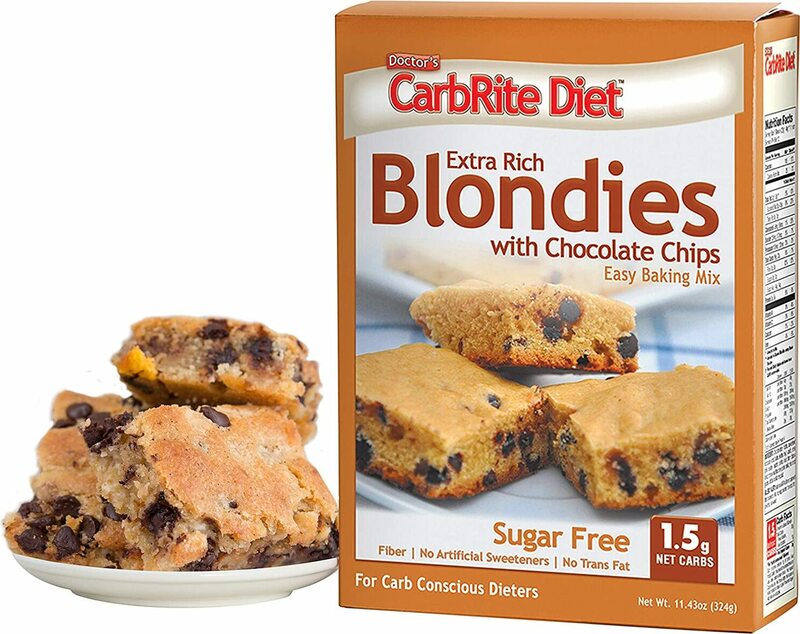 Chocolate chips (maltitol, unsweetened chocolate, cocoa butter, lecithin (soy), vanillin, whole milk powder), maltitol, sorbitol, inulin (from chicory root), whole wheat flour, whey protein (milk), vital wheat gluten, artificial vanilla flavor, salt. 2. BEAT eggs in a large bowl until blended. 3. ADD in melted butter until mixture is slightly thickened. 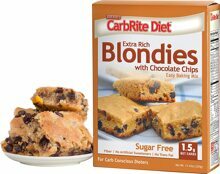 -STIR in Doctor's CarbRite Blondie Mix until mixture is well-blended. 5. POUR into greased 8" square glass dish. 6. BAKE at 350 degrees for about 30-40 minutes or until inserted toothpick comes out clean. 7. COOL before cutting. Store covered. Do not consume raw batter.